After Jesus had appeared to his other disciples in their house, one of them named Thomas was not there. The other disciples told him that they saw Jesus, but he said that he would not believe that Jesus had been resurrected until he saw the nail marks in Jesus' hands, and the cut in his side from the soldier's spear. A week later Jesus came and again appeared inside the disciples house, even though all the doors were locked. He said "Peace be with you!" Then he said to Thomas "Put your finger here; see my hands. Reach out your hand and put it into my side. Stop doubting and believe.". Thomas said "My Lord and my God!" Jesus said to Thomas "Because you have seen me, you have believed; blessed are those who have not seen and yet have believed." Because Thomas doubted whether Jesus was really alive, he is sometimes called Doubting Thomas. We just learned about the famous painting At the Front by George Cochran Lambdin. Another famous work of art is the painting His Station and Four Aces by C. M. Coolidge in 1903. Coolidge was paid to make sixteen paintings advertising cigars, so he came up with the idea to have dogs playing poker while smoking. The dog in blue is the train conductor, and he is telling everyone that it is time to get off the train. 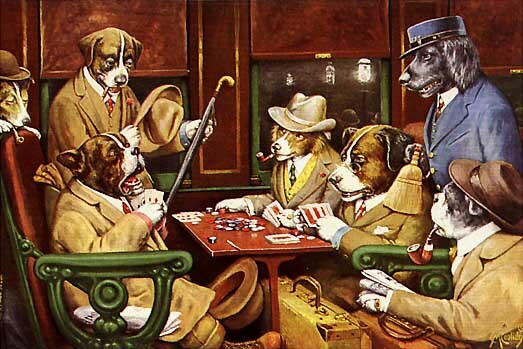 The dog sitting on the left has really great cards, and a lot of poker chips on the table so he was about to win some money, but since it is time to get off the train he won't be able to win, and he is making a very upset face. These paintings became very popular for people to have in restaurants and homes because they thought they were funny. Let's learn about the months of the year in German! When we think of lightning, we usually think of the big bright flashes coming from the cloud. But sometimes lightning doesn't come down to the ground, it just goes to another cloud. That is called Cloud to Cloud lightning, or sometimes if it's just inside the same cloud it's called intra-cloud lightning. Sometimes people just use the letters CC for cloud to cloud, or IC for intra-cloud. We just learned about the type of dog the Lhasa Apso. 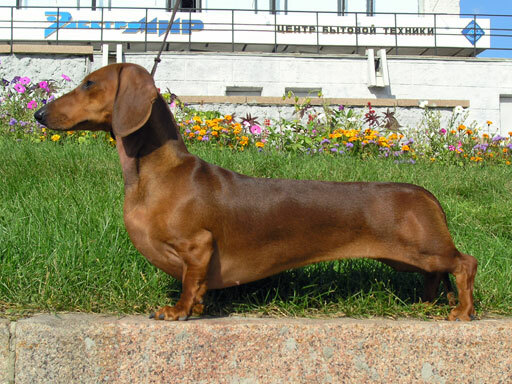 Another type of dog is the Dachshund. 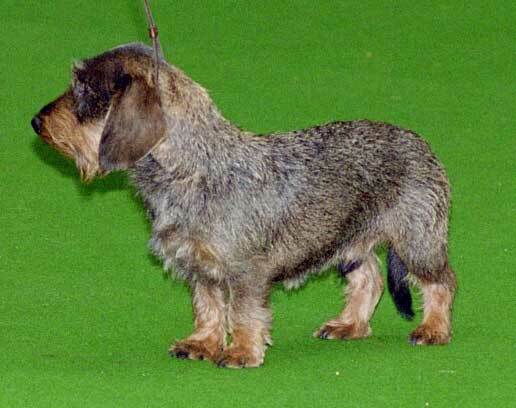 The dachshund was used in the past to hunt badgers that would go underground. The German word dachs means badger, and the word hund means dog. Many people say the dog's name in different ways. and some people say the second part like hoont or hooned or hunned. Because the dog has a long body and is very short, people have joked that the dog is half a dog high and two dogs long. Some people thought the dog looked like a hot dog or a sausage, also called a weiner, so the dog is sometimes called a sausage dog or weiner dog! Dachsunds come in three sizes, standard, miniature and kaninchen which means rabbit. The smallest are 8 pounds and the largest are twice the size at 16 pounds. They also come in three different types of fur. Short hair, long hair and wiry hair. We've learned that the plantar arteries give blood to the bottom of the foot. For the top of the foot, right at the ankle, the tibial artery turns into the Dorsalis Pedis Artery. You can sometimes see this artery on the top of your foot, and it goes all the way down to between your two biggest toes. After Jesus had been crucified, his disciples were scared of the people who had put him on the cross. They thought maybe people were going to come arrest them next, so they were in a house with all the doors locked. Suddenly Jesus appeared to them and said "Peace be with you!". He showed them his pierced hands and side. The disciples were very happy to see him, and very surprised because all of the doors were locked and Jesus just appeared. He told people "Peace be with you! As the Father has sent me, I am sending you.". This meant he was sending his disciples out into the world to spread his message. Then he breathed on them and said "Receive the Holy Spirit. If you forgive anyone’s sins, their sins are forgiven; if you do not forgive them, they are not forgiven.". This meant he was trusting them to go out and be leaders in churches to tell people about forgiveness. We just learned about the famous work of art the Detroit Industry Murals by Diego Rivera. Another famous work of art is the painting At the Front by American painter George Cochran Lambdin in 1866. During the American Civil War, Lambdin had a job bringing medicine and bandages to soldiers who were out in the field. Since he saw lots of soldiers in the war, he was able to make paintings that could show people what the war was really like. In his painting At the Front, there is a soldier sitting on a log by a tent, near a campfire. He is holding his hat in his hands, and looking down like he is worried or sad. Many soldiers in the war had to leave their families, or they had to sometimes even fight against their own brothers in the war, so this painting helps to show that even though some stories of war sound exciting with swords and guns and cannons, the real life of war is very hard for soldiers. Thursday, Friday is Donnerstag, Freitag. Lightning is the big flash of light that we see in the sky when some static electricity in a cloud builds up and then zaps either another cloud or the ground. We only see lightning in our area when there is a storm, but every second of every day there is a storm somewhere on planet earth. If you could look at the whole planet earth all at once and count every single lightning, you would count about 1,400,000,000 (1.4 billion) flashes per year! Lightning happens over 40 times every second on earth. Not all in one place, but spread out across the world. We just learned about the type of dog the Irish Wolfhound. Another type of dog is the Lhasa Apso. 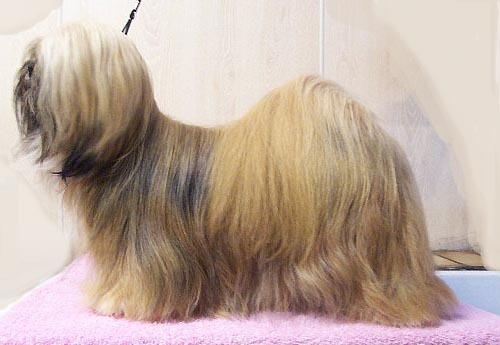 Lhasa Apsos are small dogs with very long hair. They were first used by people in a place called Tibet, where people called monks used them as guard dogs. They have good hearing and a loud sharp bark that they used to warn people of intruders. The capital city of Tibet is Lhasa, and the word Apso means bearded, so their name means a bearded dog from the town of Lhasa. Sometimes they are called Apso Seng Kyi, which means Bearded Lion Dog. Some people believed that if an important person from Tibet died, they would go live in a Lhasa Apso dog. We've learned about the fibular and tibial arteries that bring oxygenated blood down the lower leg and ankle. Those arteries connect to the bottom of the foot where you have two plantar arteries called the medial plantar artery and lateral plantar artery. The medial plantar artery goes along from your heel area to your big toe. The lateral plantar artery makes a big arc from your heel, over to the outside of your foot, and then curves back toward your big toe. New York is a state in the northeast part of the US, right on the Atlantic Ocean. It's nickname is The Empire State, and it's motto is Excelsior which means Ever upward. The city was named after the Duke of York from England who became King James II. The flag of New York is blue, with the state seal on it. The seal shows a shield with ship on the Hudson river, with a grassy shore, a mountain range, and the sun behind it. The shield is being held up by Lady Liberty on the left, and Lady Justice on the right. New York City which is sometimes called NYC is the most populated city in the US, with over 8 million people living in a tightly packed area. 40 of the 50 states each have less people living in them than New York City. 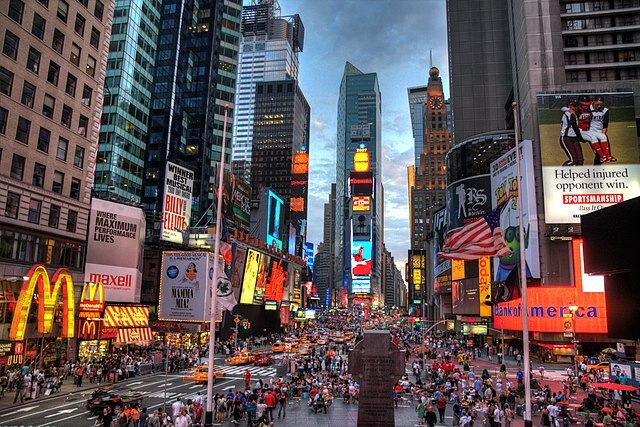 There are as many people living in NYC than the 10 states with the least population combined. One of the most famous buildings in NYC is the Empire State Building. The Statue of Liberty is on an Island in New York City. Niagara Falls is in the north part of the state, a giant waterfall that has more water flowing than any waterfall in the world. Times Square in NYC is a place filled with huge lighted signs, and has a lot of famous theaters and tv shows filmed there. New York has had four Presidents come from their state. Martin Van Buren was the 8th President, in 1837. 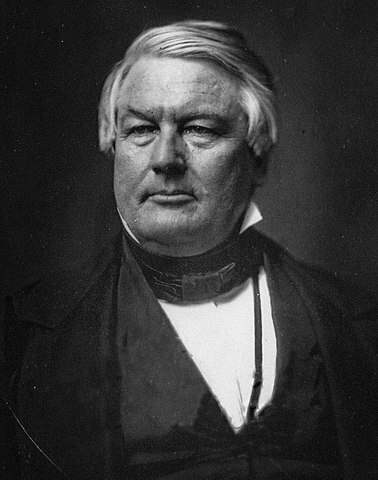 Millard Fillmore was the 13th President, in 1850. Theodore Roosevelt was the 26th President, in 1901. Another time Jesus appeared to his disciples after his resurrection was when they were fishing. Simon Peter, Thomas, Nathanael, James and John Zebedee and two other disciples were out fishing in the boat. All night long they didn't catch anything. In the morning they saw someone by the shore who asked if they had caught any fish. They said no, and the person said to throw the net on the other side of the boat. They did what the person said and they caught so many fish they couldn't even pull the net in! Peter realized that it was Jesus on the shore, and he jumped out of the boat and went to Jesus. They came and ate some bread and fish with Jesus around a fire and talked to him. We just learned about the famous work of art Portrait of Adele Bloch-Bauer I by Gustav Klimt. Another famous work of art is the Detroit Industry Murals by Diego Rivera in 1933. In the 1930s the area of Detroit Michigan was the best in the world at building things like cars very quickly using machines for manufacturing. The Detroit Institute of Arts museum asked the famous mural painter Diego Rivera to come make paintings about Detroit's manufacturing. He painted 27 different murals as frescos showing people using machines to build cars. In the paintings he tried to make the people and machines very similar, so that people might even think about where the person ended and the machine started. We just learned that in Monday, Tuesday, Wednesday in German is Montag, Dienstag, Mittwoch. We've learned that when the air is full of water vapor that is called humidity. And we learned that the Dew Point is the temperature when water vapor turns into water droplets. When the air close to the earth is very humid, and the temperature is very close to the dew point, it can turn into fog. Fog is just like a big cloud full of water vapor and tiny water droplets. If the temperature drops, then the water droplets may turn into rain. If the temperature rises, then the water droplets will evaporate into the air. We just learned about the type of dog the Alaskan Malamute. Another type of dog is the Irish Wolfhound. This dog is the tallest of any type of dog. It was used a long time ago to protect families by hunting down wolves! Wolves are very strong fast and fierce animals, but the Irish Wolfhound's job was to chase down a wolf and kill it. It is a very famous dog in Ireland, and for a long time was owned by the Kings of old Ireland. When some of the dogs were sent to Rome, they used them to fight against lions and bears! We've learned that oxygenated blood comes through the knee in your popliteal artery, and that there are arteries called tibial arteries that go along your tibia. The other artery in the back of your lower leg is called your fibula, and there are arteries called Fibular Arteries that go along that bone. New Mexico is a state in the south west part of the country, bordering the country of Mexico to the south. 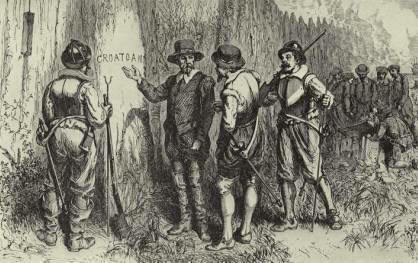 It's mottos are the Land of Enchantment, and Crescit eundo which means It grows as it goes. 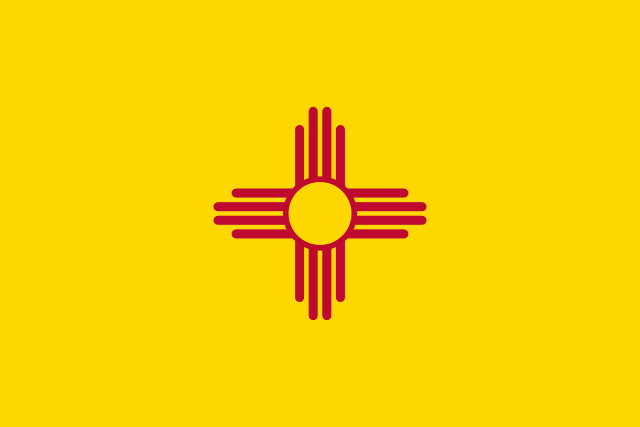 The flag of New Mexico is yellow, with a red sun symbol used by the Zia Native American people. The red and yellow are for the flag of Spain that brought people to Mexico to claim the land. The seal of New Mexico shows an American bald eagle which stands for the US, and a Mexican bald eagle which stands for the Mexican people that helped claim the land long ago. 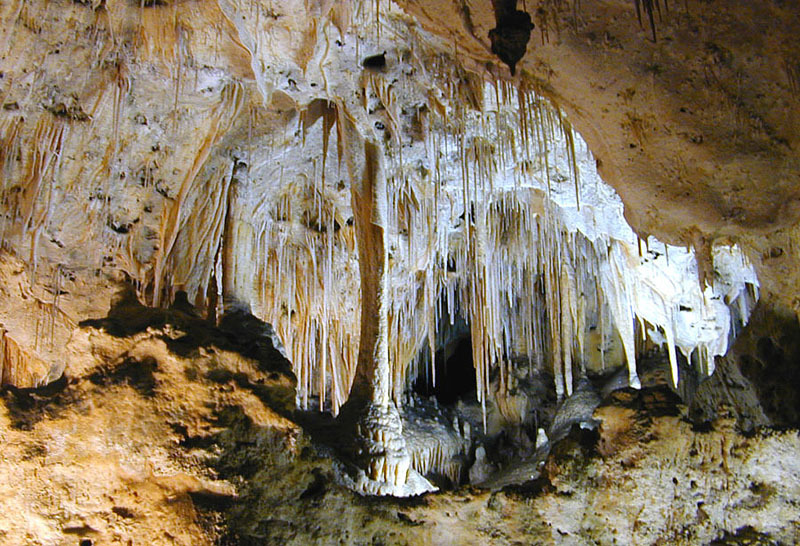 There are some very large caves in New Mexico, called the Carlsbad Caverns. White Sands National Monument is a large group of sand dunes, made up of a type of white salt called gypsum. It is the largest bunch of gypsum dunes in the world. 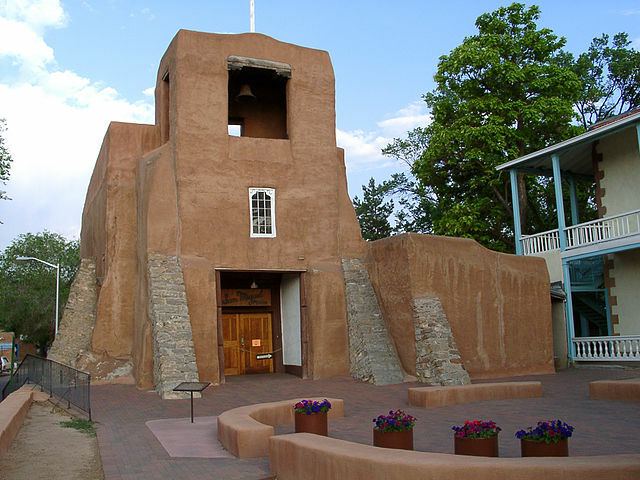 The oldest standing church in the US is in Santa Fe, called the San Miguel Chapel, built in 1610. After Jesus had risen from his tomb and appeared to Mary, he later appeared to some of his disciples who were walking down the road to a town called Emmaus. When they saw him, Jesus didn't let him know who he was. He walked with them on the road and they talked about how Jesus had just died and was not in his tomb. He went to their house for dinner, and then they knew it was Jesus, and then he disappeared. They went on to tell everyone what they had seen. We just learned about the Statue of Liberty by Frédéric Auguste Bartholdi. Another famous work of art is the painting Portrait of Adele Bloch-Bauer I by Austrian painter Gustav Klimt in 1907. Klimt made many paintings through his life as an artist, and at one point decided to start using something called gold leaf in his paintings. Gold leaf is gold that is hammered down very flat so that it is as thin as paper. Klimt would use normal oil paint for the parts of his painting that had many colors, and then he would use shaped pieces of gold leaf to fill in the shiny gold parts. He became very famous for doing this type of artwork, and people call his paintings using gold leaf his gold period. Let's learn the days of the week in German! We just learned about the type of dog the Akita Inu. Another type of dog is called the Alaskan Malamute. 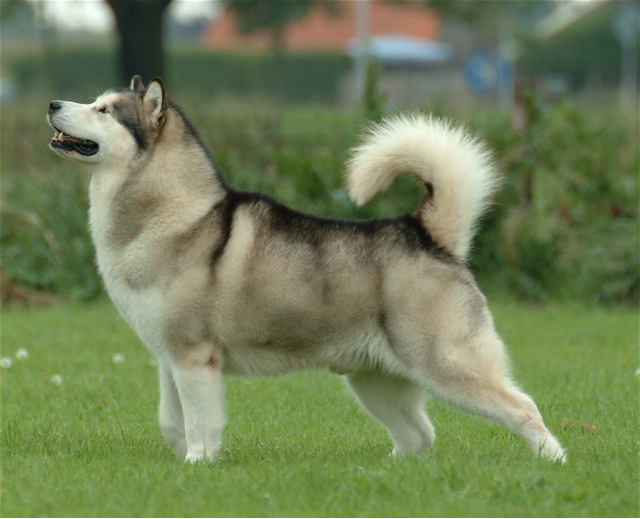 This dog is very similar to the Siberian Husky, but is bigger and stronger. Because of it's big muscles it can pull heavier loads for longer distances, but can't run as fast as the husky. The Malamutes are great dogs for the cold, and were great at helping people pull sleds. They helped the first American reach the South pole, they helped people who came to Alaska for the gold rush, and they were used in World War II to help rescue people in the cold lands of Greenland. The Alaskan Malamute is also the official state dog of the state of Alaska. We just learned about the popliteal artery that brings oxygenated blood down to through your knee. After it goes past your knee it splits into two arteries called the tibial arteries. The anterior tibial artery is in front, and the posterior artery is in back. New Jersey is a state in the US, on the north east part of the country, right on the Atlantic Ocean. It's nickname is The Garden State because there was a lot of farming there in the past, and it's motto is Liberty and prosperity. 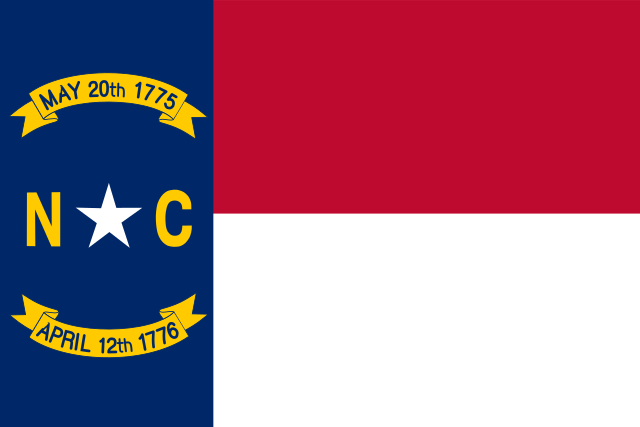 It is the most densely packed state, which means it has the most people all bunched together in one small area. It doesn't have the most people in a single state, but the people there are more tightly packed in than any other state. 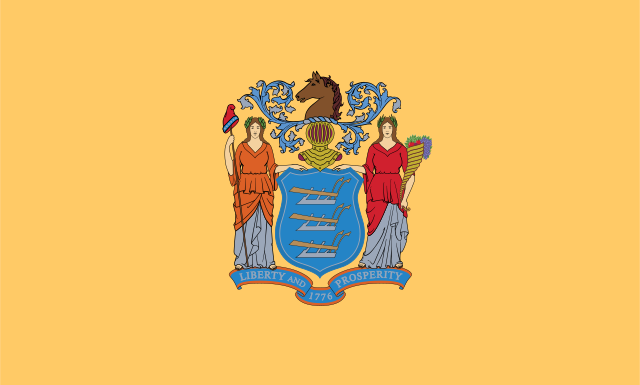 The flag of New Jersey is a tan color, with the state seal on it. The seal has three plows for the farming that was in New Jersey's past. There is horse's head and a helmet showing that New Jersey is in charge of itself. 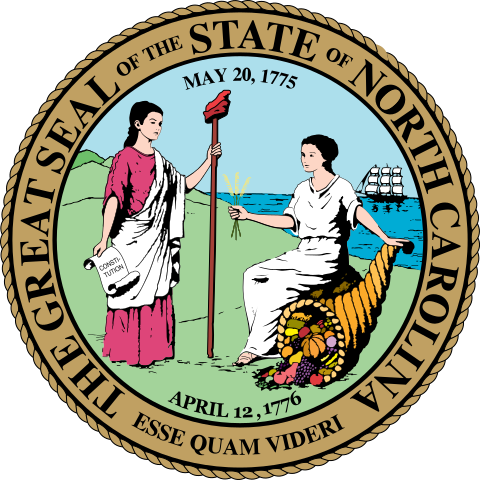 The two goddesses of liberty and prosperity are on the seal, which is the state motto. New Jersey was a very important state in the American Revolutionary war, and there is a famous painting of George Washington crossing the Delaware river, on the way to go take back the town of Trenton, New Jersey. 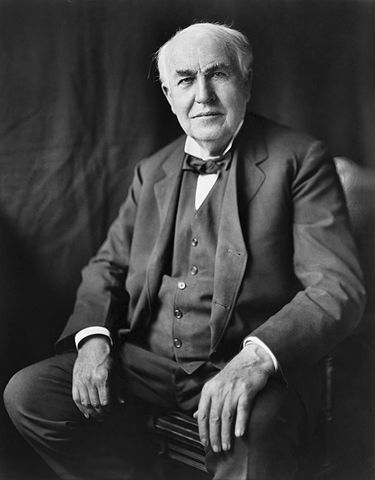 Thomas Edison was a very famous inventor whose laboratory was in New Jersey. 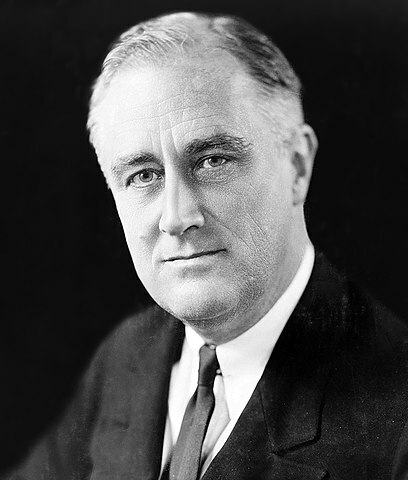 He helped bring long lasting light bulbs, electricity and movies all across the US. One day a large flying airship called the Hindenberg was flying into New Jersey. There was a disaster and it burst into flames and crashed. It was a terrible tragedy, and after it blew up people were afraid to use airships like that anymore. The 22nd and 24th president of the US was Grover Cleveland who was from New Jersey. He was president back in 1885.